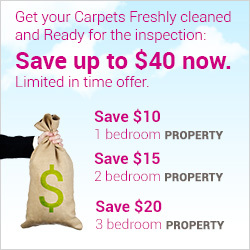 We at Carpet Cleaning Experts Melbourne offer a solution for your carpet cleaning problems – a team of trained and experienced technicians, armed with powerful equipment, modern tools, quality products and know-how, ready to fight even the stubbornest stains and do everything in their power to bring your carpeting pieces back to their finest state. As one of the preferred floor coverings carpets require regular care in the form of vacuuming and cleaning on a weekly basis. Because of the big area of exposure they are also very prone to collecting dust and dirt. That brings the need of deep cleaning on a certain period of time and sometimes special treatment for accidental staining or heavily filthy spots. With the main focus on the customer, we designed our carpet cleaning as an on-demand service. Just get in touch with us and book the most convenient for you time and date. Perform specialised acidity tests of the stains to determine the most effective and proper way to remove them. Choose and use the most proper of our tried & tested carpet cleaning methods depending on your carpet specific qualities and requirements. There are two main methods on the market for professional and efficient carpet cleaning – Hot Water Extraction(Steam Cleaning in its basis) and Dry Cleaning. Our cleaners specialise and have experience with both of them to ensure that every carpet receives prompt and quality care. Hot Water Extraction: Highly efficient cleaning method, combining the power of the steam and specialised cleaning product. It consists of pre-treating the carpet (or upholstery/curtain) with the cleaning agent.Then the machine (a high power extractor) sprays a powerful stream of hot water deep into the carpet’s fibres to get to all filth. Simultaneously the same machine extracts all dirt and moisture, leaving your carpet completely sanitised and almost dry. Dry Cleaning: This is the perfect method for more delicate materials. Instead of hot water or steam that can damage such a delicate piece, a special powder is spread on the carpet and brushed deep by a spinning rotary bonnet machine. The powder attaches all filth and is then hoovered with the industrial vacuum cleaner. You can get your carpet cleaning quote by phone, email or chat right away and it is free of charge. We take NO deposits or any additional fees for presenting you with an offer. Our operators will be happy to help you with the booking, provide you with additional information about the service or any other assistance you may require. Great quality service, guys. Your carpet cleaning technicians are really suited for this job. All carpets are now clean and as good as new, beyond my expectations. Great work guys! Your cleaning team came on time this morning and were very polite! Thank you so much! It's really amazing to walk on freshly cleaned carpets. We are happy to have found your carpet cleaning offer. Thanks.